Evelyn Thomson, longtime member and former Program Committee chair, donated a number of her books to the genealogy library. 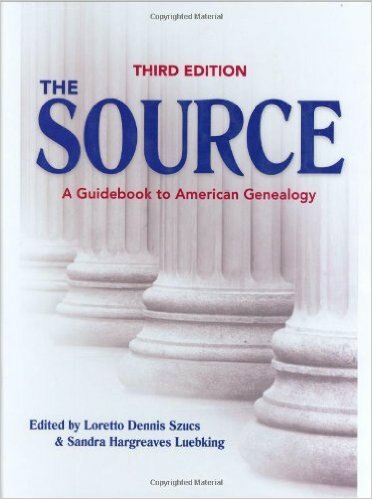 One of these is ‘The Source: A Guidebook of American Genealogy’ (3rd edition). A new copy of this 992-page book is about $50 at Amazon. The library already has several, so we’ll be giving this one away at tomorrow’s meeting. Please pick up a ticket at the door when you arrive. Must be present to win. This entry was posted in SCVGS and tagged Library, lottery. Bookmark the permalink.